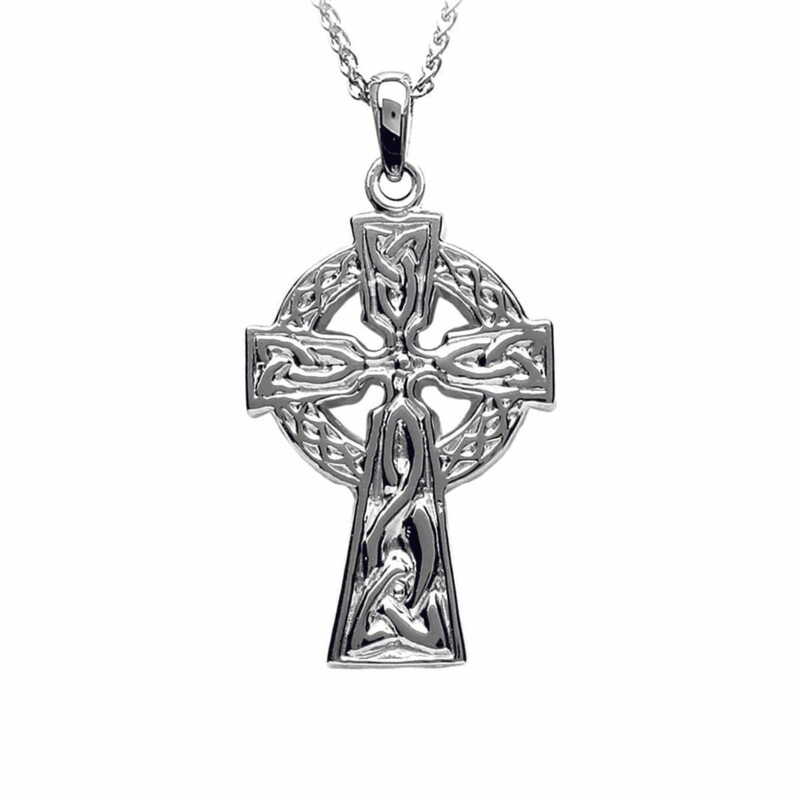 Traditional sterling silver Celtic cross featuring a double-sided Celtic knot design. Handmade in Ireland and hallmarked at the Irish Assay Office in Dublin Castle. This beautiful sterling silver Celtic cross features a traditional Celtic knot design handcrafted in sterling silver. Measuring 16.5mm wide and 24.2mm high and fitted with an 18 inch sterling silver chain. This Celtic cross pendant is cast in the finest 925 sterling silver and is hallmarked at the Irish Assay Office in Dublin Castle. Guaranteed Irish jewelry shipped for free from Ireland.